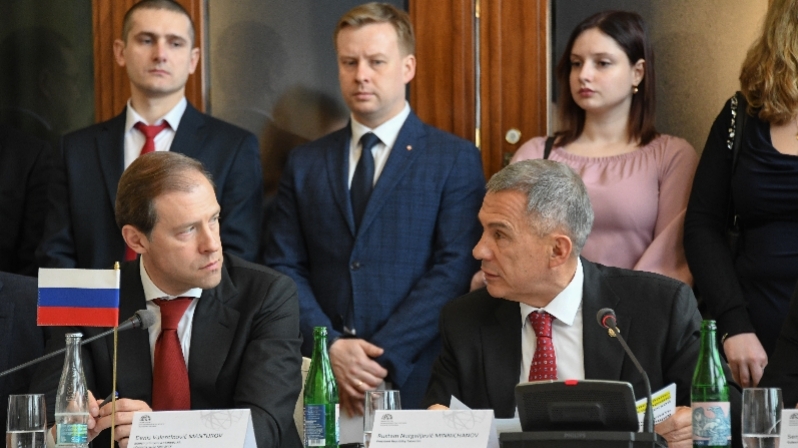 The Head of Tatarstan Investment Development Agency Taliya Minullina took part in the Czech-Russian Business Forum as a part of Tatarstani delegation headed by the President of the Republic of Tatarstan Rustam Minnikhanov. The forum was held today in Prague within the framework of the Russian-Czech intergovernmental Commission on economic, industrial, scientific and technical cooperation and was devoted to the prospects of development of trade and economic relations between countries and regions. Minister of industry and trade of the Czech Republic Marta Nováková, Minister of Industry and Trade of Russia Denis Manturov spoke at the forum. In his welcoming speech, Minnikhanov expressed gratitude to the Government of the Czech Republic and Russia for supporting joint projects and initiatives. "We are interested in attracting Czech business and capital to our republic. We will be glad to expand mutually beneficial ties and are ready to provide assistance. We expect that during the discussion the business community will open up new areas for cooperation and agree on joint projects. The Czech Republic is one of the leading foreign partners of the Republic of Tatarstan," - Tatarstan President said. Modernization of industry automotive, machine-tool building, healthcare and agro-industrial complex were noted as promising areas for cooperation. Denis Manturov noted that Russia and the Czech Republic have the similar course on the formation of attractive rules for doing business. He reminded that as a result of localization foreign companies get access to the Russian market, establish relations with local suppliers. We appreciate the existing relations with the3 Czech Republic, despite the foreign policy situation, and the fact we can continue to strengthen them. "Tatarstan has all the conditions for comfortable and profitable Czech business. We have a developed infrastructure. There are tax benefits and preferences on the territories of special social and economic development, special economic zones, . We already have got success stories of Czech companies localizing their production in Tatarstan, and today we have signed another cooperation agreement with the "Yugostroy" concern. Thus, we have initiated even more effective cooperation between countries and regions. The potential, in fact, is huge", - the Head of Tatarstan Investment Development Agency Taliya Minullina shared. In Tatarstan, a joint working group on coordination of trade and economic cooperation has been established, a dialogue between government and business has been built: over the past year alone, delegations from both sides have made several visits. In addition, the visa center of the Czech Republic was opened, direct air service between Kazan and Prague is operating, Trade and economic representation of Tatarstan is functioning in the Chezh Republic.